The mitral valve surgery volume has remained steady over the last 5 years. Many of these procedures repair the mitral valve instead of replacing it. Mitral valve repair procedures account for over 99% of the mitral valve procedures performed on patients with degenerative mitral valve disease. 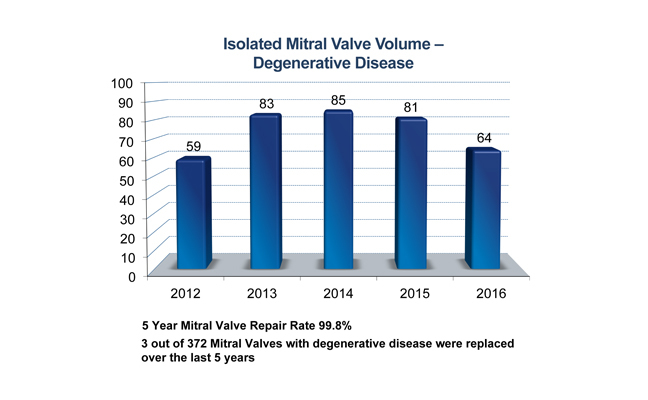 Only 3 out of 372 mitral valves with degenerative disease were replaced over the last 5 years. Mitral valve procedures performed via thoracotomy include complex redo operations, as well as primary minimally invasive procedures.  More than three quarters of the mitral valve procedures are repairs.